Hélène Binet’s exhibition at Solo Galerie presents a selection of four personal works developed over 30 years of research. Thanks to the extraordinary bridge by Sergio Musmeci, to the details of the scintillating light of Sigurd Lewerentz’s church, as well as the construction of the Jewish Museum by Daniel Libeskind and the slender and dancing footbridge by Sverre Fehn, Hélène Binet explores different ways in which photography and architecture take possession of the idea of transition. Whereas architecture takes you from space to space, from terrestrial to spiritual, from abstraction to the tangible, photography sets itself between two fractions of time. 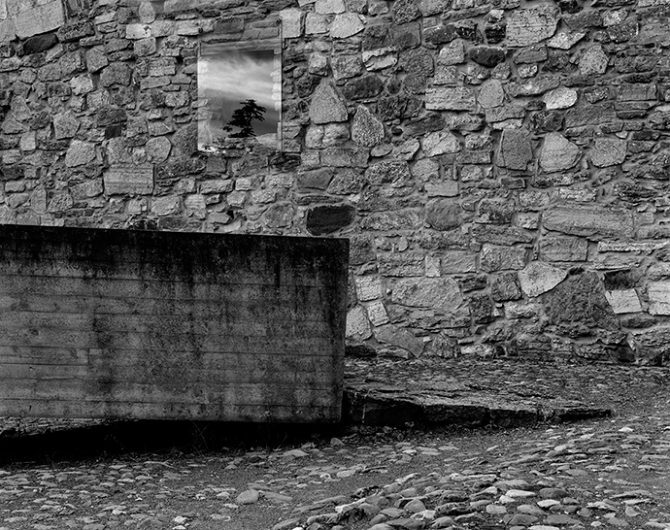 Abstraction, black and white, details of photography draw a place, a moment in the day or a matter. Seized by these images, we are transported to an elsewhere that was ignored until then, an imaginary space that is our own. 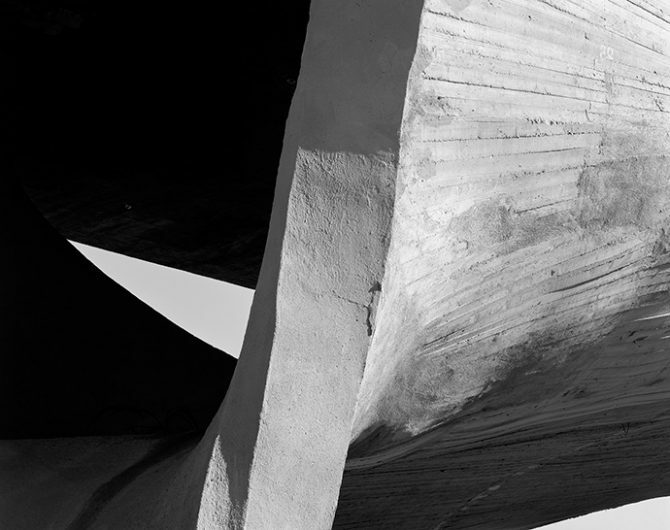 “Hélène Binet has emerged as one of the leading architectural photographers in the world. 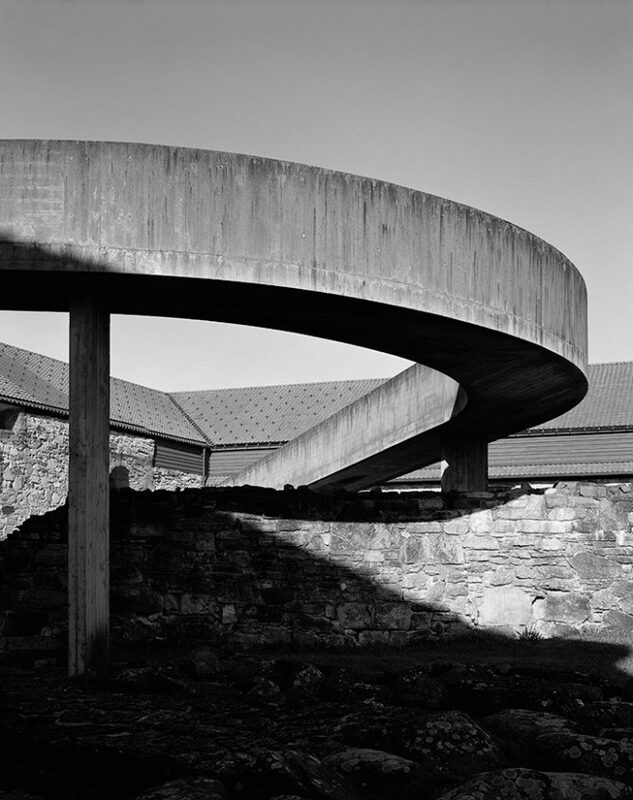 Architecture: Sverre Fehn: Hedmark Museum, Hamar, Norway, 1973 by Hélène Binet, year of photography 2009 © Hélène Binet & Solo Galerie. Used here by kind permission from Solo Galerie. All rights reserved. Architecture: Daniel Liebeskind: The Jewish Museum working site - Berlin, Germany 1968 by Hélène Binet, year of photography 1996 © Hélène Binet & Solo Galerie. Used here by kind permission from Solo Galerie. All rights reserved. The works on display at Solo Galerie reflect the photographer’s dramatic views, the importance of materiality and light in her work, and the emotionally intuitive experience of architectural spaces. They highlight Binet’s consistent feel of intimacy and intense sensibility, in a dialogue between camera and structure that informs new perspectives on the reality of constructions. The black and white photographs instil a sense of timeless distance, that Binet elaborately captures in a reflection of how both construction and image are reduced and concentrated to their revealing simplicity and expression. Binet’s photographs are not a neutral perspective on the built environment, but rather an expressive portrait where formal and material fragments offer the viewer a glimpse into the atmospheric impression of architecture itself. It is the particularity of a construction that Binet’s photographs capture within the frame; a study of how matter, form, and structure enter an almost pictorial dialogue with light, shadow, and line – a spatial dialogue that defines our intimate experience with the buildings we encounter. The photographer thus creates subtle compositions where reality and imagination inform the space of living and the space of the mind at the same time. Whether a fragment, an angle, or a specific situation, the images invite the viewer to see beyond the photographic frames, so as to perceive the expressive world that lies beyond the physical settings and the limitations of constructions. 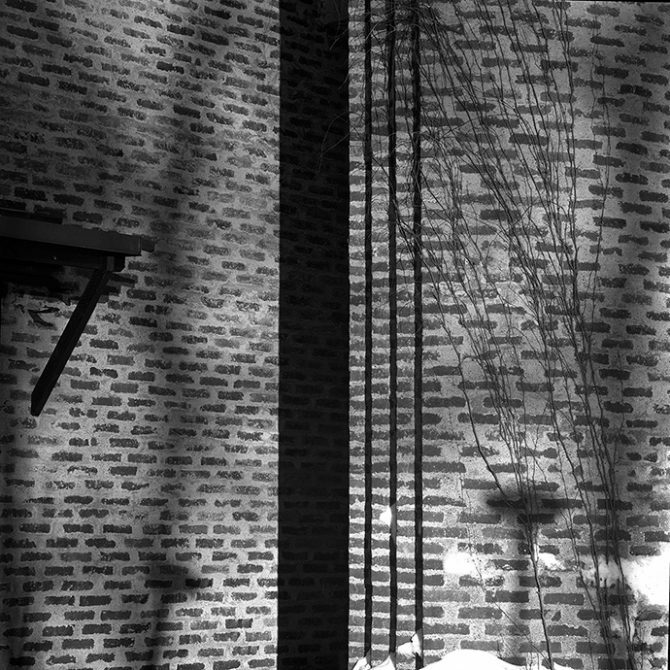 Architecture: Sigurd Lewerentz: Makuskyrkan, Saint Mark’s church, Björkhagen, Sweden, 1960 by Hélène Binet, year of photography 1989 © Hélène Binet & Solo Galerie. Used here by kind permission from Solo Galerie. All rights reserved. 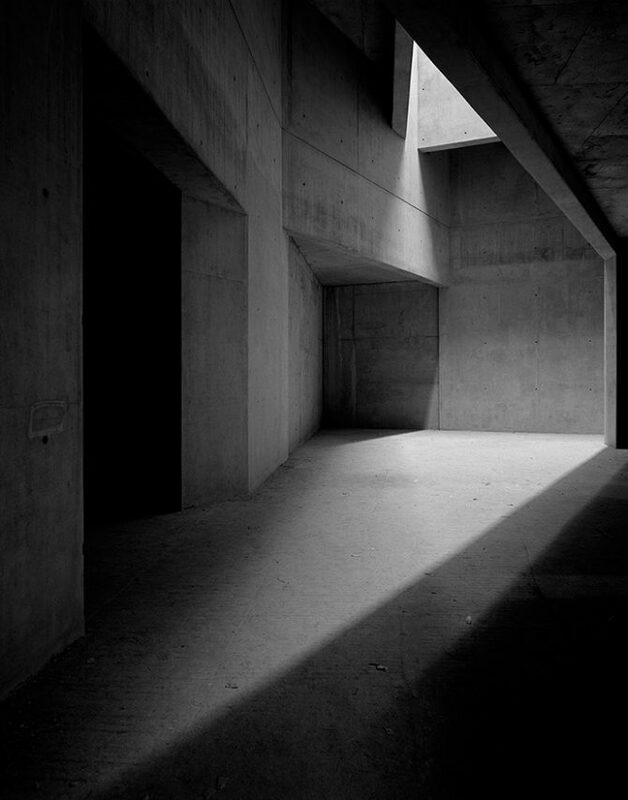 Hélène Binet was born in 1959 in Sorengo and is of both Swiss and French background. She currently lives in London with her husband Raoul Bunschoten. She studied photography at the Instituto Europeo di Design in Rome, where she grew up, and soon developed an interest in architectural photography. Over a period of twenty-five years Hélène Binet has photographed both contemporary and historical architecture. Her list of clients include architects Raoul Bunschoten, Caruso St John, Zaha Hadid, Daniel Libeskind, Studio Mumbai, Peter Zumthor and many others. 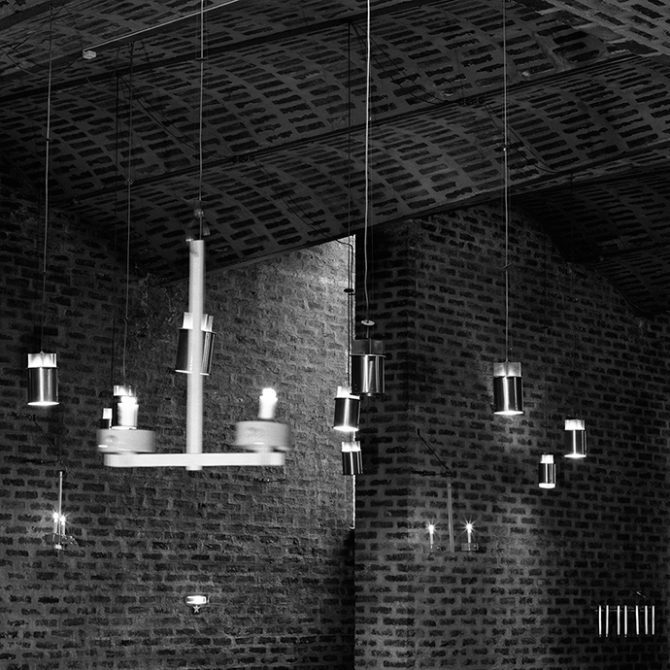 While following the work of contemporary architects – often from construction through completion – Hélène Binet has also photographed the works of past architects such as Alvar Aalto, Geoffrey Bawa, Le Corbusier, Sverre Fehn, Nicholas Hawksmoor, John Hejduk, Sigurd Lewerentz, Andrea Palladio, Dimitris Pikionis, and Van der Laan. More recently, Hélène Binet has started to direct her attention to landscape photography, wherein she transposes key concerns of her architectural photography. Hélène Binet’s work has been published in a wide range of books, and is shown in both national and international exhibitions. The first monograph entirely dedicated to her work, Composing Space, was published by PHAIDON (London/New York) in 2012. She recently received the Julius Shulman Institute Excellence in Photography Award and in 2007 she was granted with the Honorary Fellowship of the Royal Institute of British Architects (RIBA). 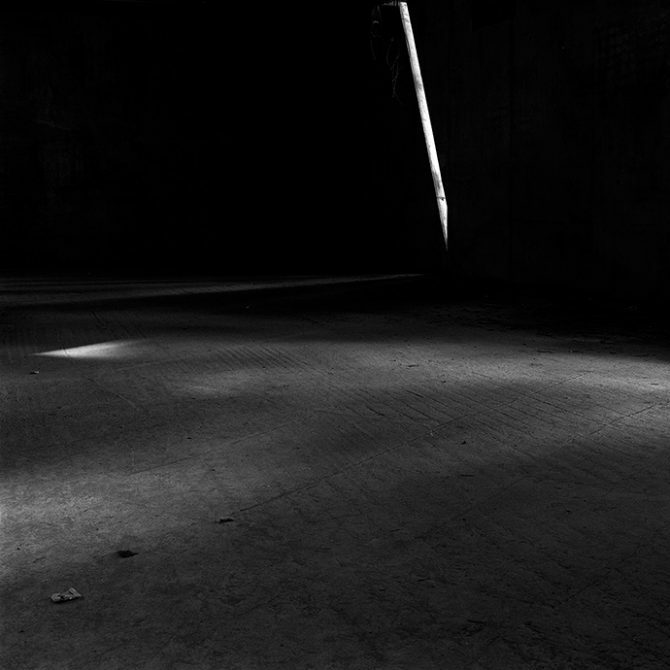 Hélène Binet is an advocate of analogue photography and therefore she exclusively works with film. 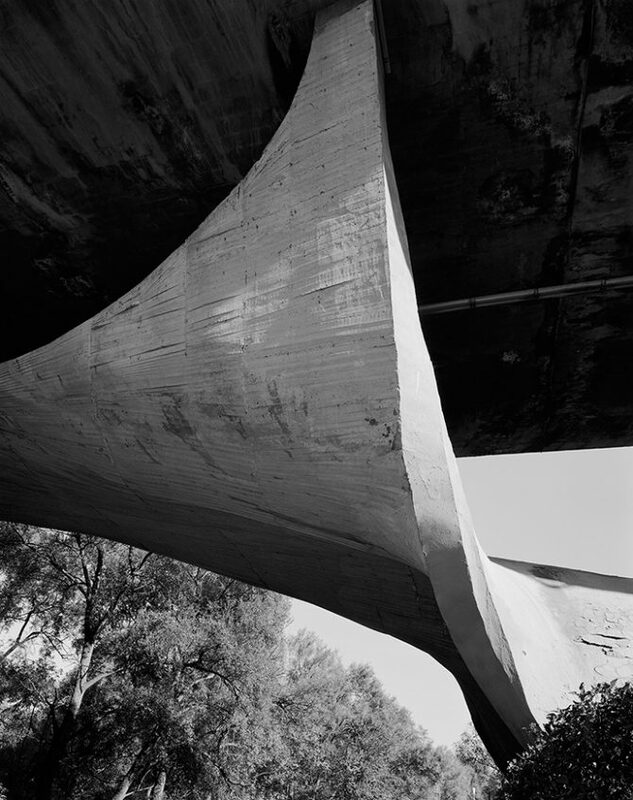 Architecture: Sergio Musmeci: Un ponte sul Basento - Potenza, Italie 1968 by Hélène Binet, year of photography 2015 © Hélène Binet & Solo Galerie. Used here by kind permission from Solo Galerie. All rights reserved. Solo Galerie is a global representation platform for artistic projects of internationally renowned architects. As a personal project of Christian Bourdais, a property developer and entrepreneur, and Eva Albarran, a contemporary art producer, Solo gallery follows a specific curatorial line, working with architects who show a singular need for expression using visual art. Solo gallery looks to bring to light the pieces of architects who display a truly artistic approach in their work. Solo gallery is focused on an experimental aspect indispensable to some architects in their general architectural production and in their reflection on contemporary construction. These unusual pieces are rarely shown in the world of contemporary art and bear an intimate relationship to space and matter. Solo gallery is a Parisian gallery and an international platform where this alternative language can express itself. Solo gallery has also implemented an exterior programme that follows major contemporary art events.